Hard work and enthusiasm has promoted Jeremiah (J.J.) Williamson into a very successful start in the entertainment industry. J.J. is rapidly becoming nationally known and requested for both his comedy and acting abilities. J.J. has accomplished his achievements in a very short period of time. 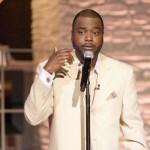 He has worked with comedy giants such as Chris Tucker, D.L. Hughley, Rickey Smiley and Bruce Bruce. He has electrified the stages across the country as the opening act of Cedric “The Entertainer”. Jeremiah’s devotion to his art has indeed been rewarding. J.J. has graced the stages and entertained thousands at numerous popular venues such as the Los Angeles and Miami Improv, the Chicago House of Blues, Caroline’s of New York, the Comedy Store of Los Angeles and the Universal Amphitheater of Los Angeles. J.J. has performed via the television circuit on “The Monique Show”, “Russell Simmons HBO Def Comedy Jam”, “Comedy Central”, “Showtime at the Apollo” and “BET Comicview”. 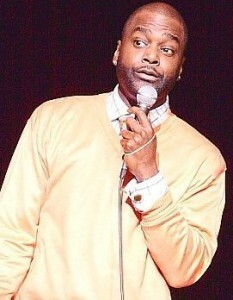 In 2000, J.J. earned his status among the comedy elite by winning the Bay Area Comedy Competition in Oakland, California. J.J. has proven to show his versatility and stage presence which enabled him the opportunity to debut on the “Big Screen” as Cousin Bowdie in the 2004 Blockbuster Film “Johnson Family Vacation”. Jeremiah co-starred in the film with such actors as Cedric “The Entertainer”, Vanessa Williams, Steve Harvey, Bow-Wow and the list goes on. He also starred in the comedy series “Cedric The Entertainer Presents: The Platinum Comedy Series – Starting Line-Up, produced by Urban Works Entertainment. His ability to move the crowd with consistent delivery has given him an abundance of positive exposure and support in the field of entertainment. Jeremiah launched his career in a spectacular manner and continues to escalate to the next level. J.J. and his sayings “Az-U-Should” and “I Pre-C-8 Dees Few Giggles Ya’ll Givin A Brotha” have become well known and well received by audiences both young and old! There is always at least one person in the audience that walks away mimicking his frequently gratuitous statement “I Pre-C-8 Dees Few Giggles Ya’ll Givin A Brotha”. That statement alone, along with his ability to keep it real, has his audiences always wanting to come back for more laughs. There is no limit to the talent that J.J. displays. Once J.J.’s realism gets you laughing…all you want is more…”Az-U-Should”.